On March 25th, INKAS® Armored Vehicle Manufacturing has received the Best International Business Award at the 2017 Chinese Canadian Entrepreneur Awards Gala held by ACCE, the Association of Chinese Canadian Entrepreneurs. According to ACCE Judging Panel and Steering Committee, this is the first time in the Association history that a non-Chinese enterprise has been nominated and won the award. “We would like to thank the Association of Chinese Canadian Entrepreneurs for nominating INKAS® for the distinguished reward,” said David Khazanski, CEO, INKAS® Armored Vehicle Manufacturing. 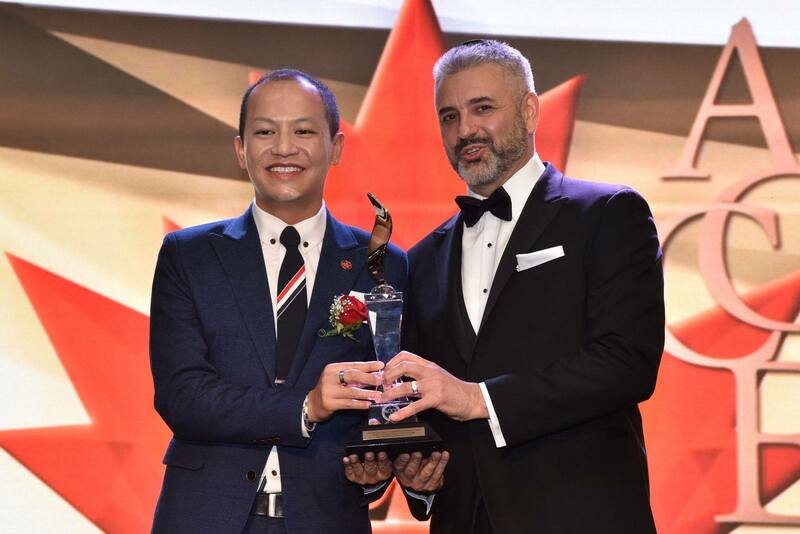 “We appreciate the support of AirCanada for sponsoring and presenting the Award – it was a truly honorable evening for INKAS®. We aim to become a strong player in the Asian market and develop long-term partnership with stakeholders in order to strengthen business relations between China and Canada”. For over 20 years, the ACCE has dedicated its efforts to support and connect Chinese business community living in Toronto and has grown into one of the most influential business associations in Canada with positive impact on trade relationships between the countries. The 2017 Awards Gala was held on March 25th at The Westin Harbour Castle and brought together over 1,000 attendees.